From Montoya Financial headquarters in Jacksonville Florida, we offer clients help with all types of financial and operational aspects of a business. We are proud of our track record in helping clients by providing personalized financial services, insurance, and employee benefits. We offer over 29 years of experience and a fully licensed staff, to help our clients to keep improving and moving forward in business as well as their personal finances. Since 1989, when Will Montoya started Montoya Financial Strategies, we have evolved and grown by adding top talent and taking on a greater range of enterprise clients. 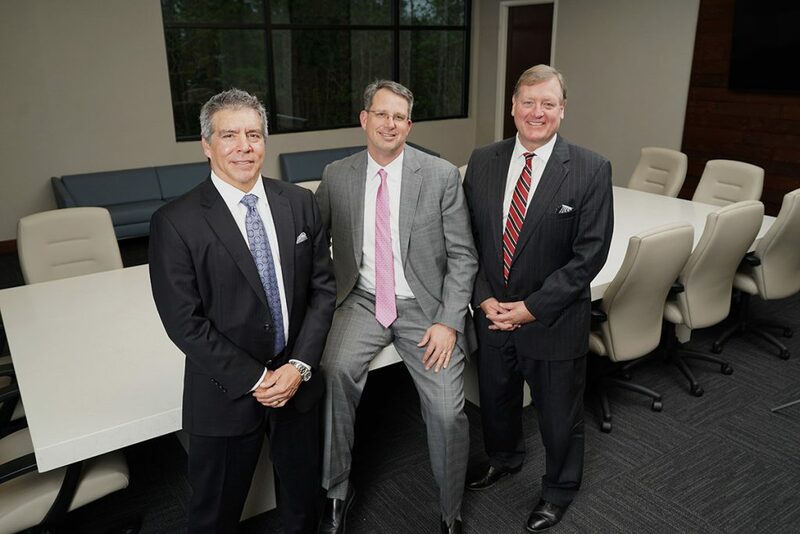 Will Montoya, Trevor Harkness, and Chriss Spires lead our company today, and the three have almost 100 years of combined experience between them. Aside from experience, part of what sets us apart is our corporate culture – we find the best people to grow with us, as a team! We also have a strategic relationship with Kestra Investment Services, LLC (Kestra IS)– this allows us to offer our clients access to top providers and products, including stocks, bonds, ETFs and alternative investment solutions. With our savvy, and the open-architecture platform and cutting-edge resources of Kestra IS office, we can help you pursue your business and financial goals with the power of both technology and experience behind you. As a client of Montoya Financial, you gain the benefit of a powerful national partnership through our relationship with Kestra Investment Services, LLC* (Kestra IS), which provides access to a top-ten independent broker-dealer by total gross revenue as ranked by Investment Advisor, 2017 Broker-Dealer Reference Guide. Our relationship with Kestra Investment Service, LLC gives our advisors access to top providers and products, including stocks, bonds, ETFs and alternative investment solutions. Kestra IS relationships with leading producers of financial solutions, combined with its open-architecture platform and cutting-edge resources, help us to bring our clients what we believe is to be advanced wealth management strategies.